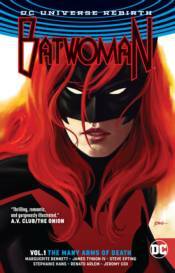 The newest chapter of Batwoman's crime-fighting career begins here! Monster Venom is the hottest new bioweapon on the market...and to break up the syndicate spreading it around the world, Batwoman's going to have to return to the place where she spent some of her darkest hours! Collects issues #1-6 and BATWOMAN: REBIRTH #1.